Location, location, location! 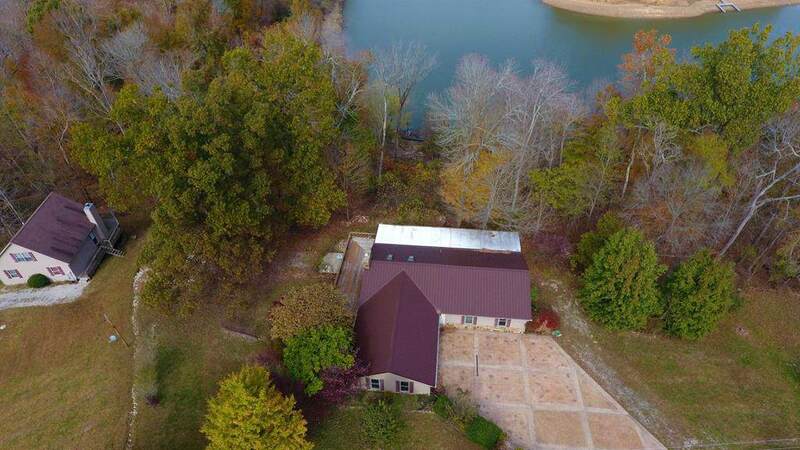 This property sits on 4 lakefront lots with BIG views & easy access to dock. The backyard is the reason that anyone wants to own a lake home: privacy, views, access & convenience of being off main channel. This 3 bedroom, 2 bathroom home with 2 car attached garage & walkout basement has recently had the main floor updated for its new owner, but also has a full walkout basement ready to be updated to whatever you envision. 2520+/- square feet ready to move into and another 1756+/- square feet ready for you to update into exactly what you're looking for to complete your home search. This large home on 4 waterfront lots in the Bentwood Subdivision has 2 additional lots across the street available for purchase at additional cost. This is a great find! The heavy lifting has been done on this house, just come make it your home! Listing provided courtesy of Kari Jones of Welcome Home Realty Group.